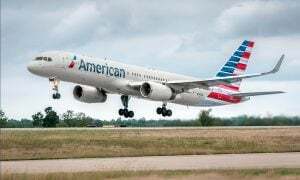 Shannon Airport’s acclaim among the airline community for its operational excellence has received major validation as the American Airlines airport team beat off competition from across the world to win its recent ‘Customer Cup’ award. Shannon scored highest in the five operational metrics that the international operational competition is based on, namely departure time dependability, aircraft turn time dependability, baggage performance, customer feedback and overall airport experience. Airports are put into categories according to the size of their operation and the team that achieves the best performance in their category wins the ‘Customer Cup’ and is recognised by senior management and American’s 120,000 employees worldwide. For the first time, American’s team at Shannon Airport, led by Shirley Carroll, General Manager, exceeded their targets in all five operational metrics by over 100% to win the ‘Category 2 Customer Cup’ for the third quarter of 2017, beating other similarly sized international airports to the title. The airline operates a Shannon-Philadelphia summer season service and such has its success been that it is bringing it back a month earlier in 2018, starting on 5th April and operating through to 1st October. Announced in August, the expansion will add an additional 50 return flights and 7,000 passengers. It is a service that continues to grow, with a 60% increase in capacity already added since 2013. Niall Maloney, Operations Director, Shannon Airport, said: “We pride ourselves on our operational successes and collaborative approach with all our airline partners. Our team here works extremely hard to make sure we always operate at optimum levels and this award won by the American Airlines Shannon team certainly suggests we are doing our part well.